COVINGTON, La. (March 2, 2017) – Wounded Warrior Project® (WWP) prides itself on providing free life-changing programs and services to injured veterans, their caregivers, and family members. Since 2003, this has been possible because of generous donors from all walks of life. Eight-year-old Hunter Lee is one donor who recently decided to give to WWP to support its mission to honor and empower Wounded Warriors. 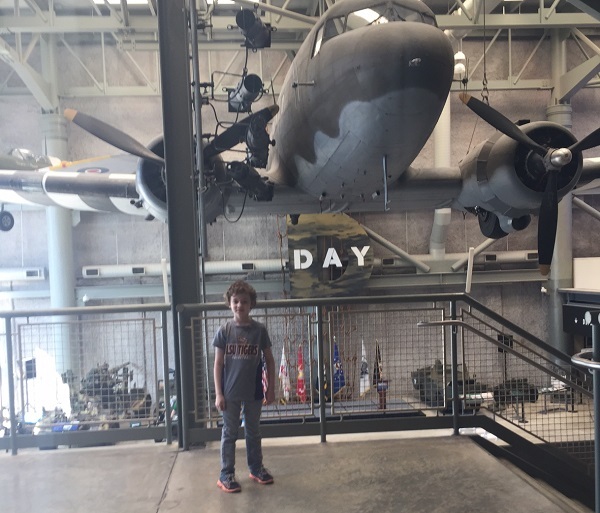 Hunter, like many kids his age, loves video games and playing outside with his brother – but he is also a big fan of military history and has his eyes set on the skies for his future career. "When I get older I want to become an A-10 pilot,” he said proudly. Hunter remembers WWP because he saw several TV commercials with the WWP logo standing out to him. Hunter is right. The WWP logo shows one wounded veteran being carried off the battlefield by another warrior. It’s a symbol of one of WWP’s most important services – the Peer Support program, where injured veterans rely upon one another’s learned experiences when managing day-to-day challenges. This special type of therapy reintroduces warriors to the unique bonds experienced during military service. Rarely duplicated in the civilian world, these relationships act as a secure bedrock that paves the road to recovery. To learn more about how WWP’s programs and services are making an impact on the lives of wounded warriors, visit http://newsroom.woundedwarriorproject.org/. To find photos showing Hunter’s efforts, click on multimedia, then images.